Peter Straub is a poet, essayist and short story writer, but he is most famous for his 17 novels, many of them in the horror genre. His works include the best-selling Ghost Story which Stephen King called one of the best horror novels of the 20th century. Peter has won a number of literary prizes including the Bram Stoker Award and the World Fantasy Award. His most recent thriller, A Dark Matter, was published last winter. You can learn more about him here. 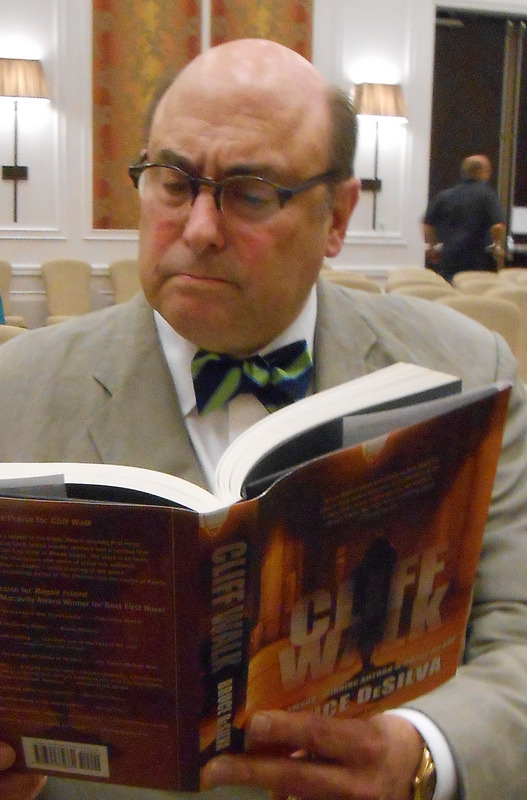 Cliff Walk is the second hard-boiled crime novel in my series featuring Liam Mulligan, an investigative reporter at a dying Providence, Rhode Island newspaper. The first, Rogue Island, won the Edgar Award and the Macavity Award. Reviewers say Cliff Walk is even better. You can purchase the Mulligan novels here. This entry was posted in Uncategorized and tagged A Dark Matter, Bruce DeSilva, Cliff Walk, edgar award, essayist, Ghost Story, Gram Stoker, hard-boiled, horror, investigative reporter, Liam Mulligan, Macavity Award, Mulligan, Peter Straub, poet, Providence, Rhode Island, Rogue Island, Stephen King. Bookmark the permalink.